The Ek Model 5 Bowie fighter is part of the John Ek Commando lineup from Ka-Bar. 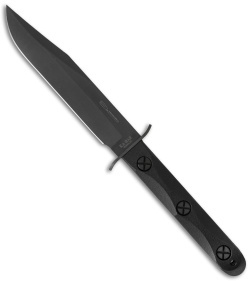 It features 1095 Cro-Van high carbon steel with a black parkerized finish. 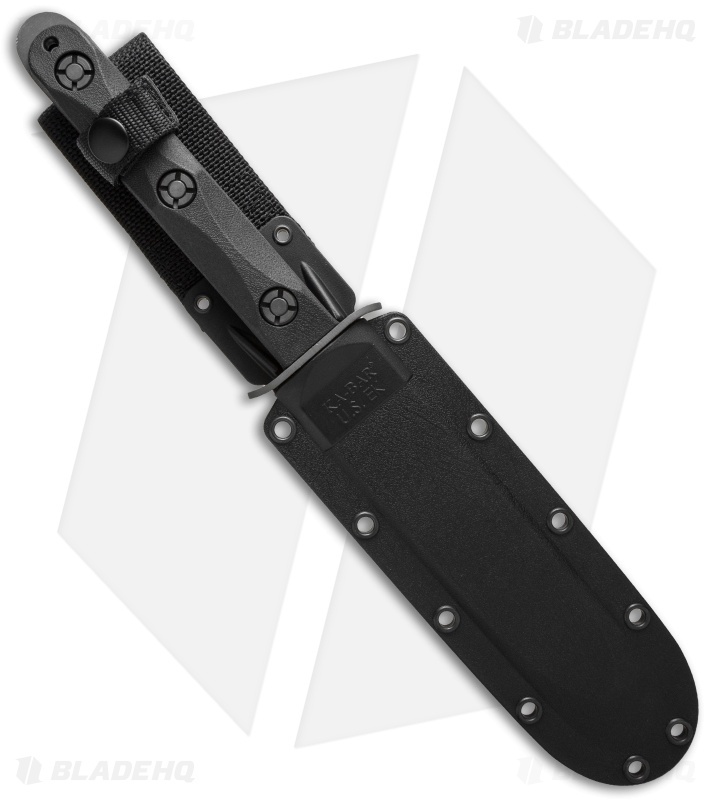 The handle is outfitted with textured glass-filled nylon scale and traditional X-head fasteners. A US-made Celcon® sheath with retaining strap, self-locking function and multiple tie-down points is also included. Made in the USA.